The Annual Meeting 2018 is a cooperation between the Walter Eucken Institut and the Verein für Socialpolitik. It takes place at the University of Freiburg from September 2nd till September 5th. Registration is possible from May 1st, 2018. We arranged commitments with several hotels. Please book your room using this link oder via this form. There you also find information about the hotels. The conference contingent is reserved until August 10th, 2018. The confirmed keynote speakers, Google chief economist Hal Varian, Susan Athey from Stanford University and David Parkes from Harvard University, are three of the most renowned researchers and designers in the digital economy. 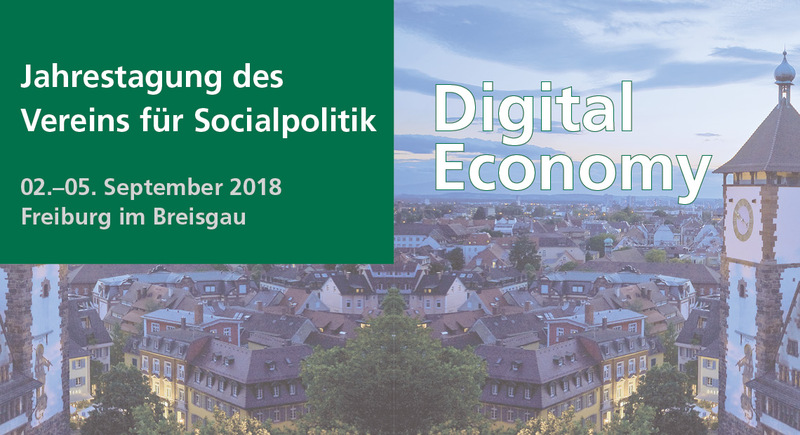 Additionally, we will have a panel on shaping the digital economy, where we expect Federal Minister for Economic Affairs and Energy Peter Altmaier, Heike Schweitzer from the Humboldt-Universität zu Berlin, Peter Cramton from the University of Cologne and Google’s Hal Varian. From February 1st till March 1st, 2018 presentations and Organised Sessions for the open meeting may be submitted from all fields of economics. The submissions are evaluated by anonymous referees and subsequently selected by the Programme Committee. The decision of acceptance may be expected by May 15th, 2018. Membership in the Verein für Socialpolitik and acceptance of its code of ethics are required for presenting at the annual conference. After acceptance of the submission, applications for membership. Get information about the exhibition. Please find the terms of service concerning the annual congress via this link.